Father’s Day 2017 is just around the corner and we share some interesting ideas to make your Father’s day special on June 18, 2017! The third Sunday in June is celebrated as International Father’s Day in more than 70 countries — a day to celebrate and honour fathers and fatherhood. Father’s Day is considered as a day to acknowledge the contribution of fathers to individual families and to societies as large. Observance of Father’s Day helps fathers feel that their contributions are acknowledged by their children. On this day, children express thanks to their fathers for all their unconditional love and affection. While Father’s Day is usually celebrated on the third Sunday of June, several countries such as Italy, Croatia, Spain, and Portugal celebrate it on March 19. Although the festival is very Western, it has gained recent prominence in India.As you figure out how what to gift or how to spend Father’s Day 2017 with him, we quickly delve into some facts, date, and history behind the origin of the day. 1. On what date will Father’s Day 2017 will be held? Father’s Day 2017 will be held on Sunday, June 18, 2017. 2. When is Father’s Day celebrated every year? Many countries follow the United States Father’s Day date – which is the third Sunday of June. Some parts of the world also celebrate it on June 19. Some countries such as Spain, Portuguese, and Latin America celebrates it on March 19. 3. When was the first father’s day celebrated? In Europe, father’s day is being celebrated by Catholic Church since the Middle Ages or Medieval Period – from 5th to 15th century. It used to be celebrated on March 19 which is also Saint Joseph’s Day. Saint Joseph is known as the foster-father of Jesus Christ. Father’s Day started being celebrated in the United States around the 20th century. 4. When does India celebrate Father’s Day? India, too, celebrates Father’s Day on the third Sunday of June. Father’s Day 2017 falls on June 18. 5. What is the idea behind Father’s Day? 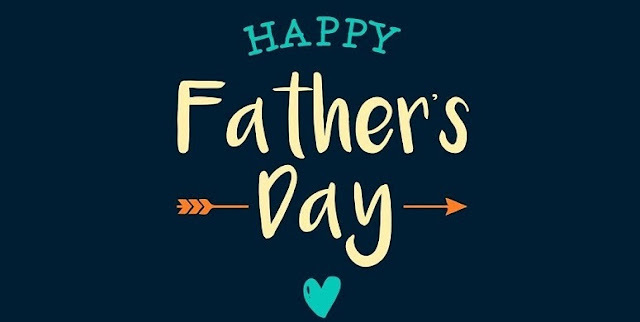 The day is celebrated to honors the fathers across the world, fatherhood, the bond between father and child, and so on. Father’s Day helps children come closer to their father. A celebration of the festival helps them understand the important role their father play in their life. This helps in strengthening the father-child relationship and consequently in the emotional development of a child. Children must, therefore, use the day to reciprocate their love for fathers with all their heart. The best way to do so is by saying “I love you, Papa” with a gift of the beautiful flower. In case you are planning to gift flower to your father, then rose is what you should be looking for as it is the official flower of Father’s Day. Which color of rose you pick is symbolic – red roses are for living fathers and white roses are for the deceased. Some loving daughters and sons also send greeting cards and gifts to their fathers to mark the day. According to reports, some communities even observe cultural programs themed on Fathers. Hone up your cooking skills and surprise your dad with breakfast in bed this Sunday! Brownie points if you prepare his favorite breakfast perfectly. No gift seems as heartfelt and precious as a special handmade greeting card for your father. Write down all the reasons why you love your father and what makes him the best dad, quoting special childhood memories — this would surely bring a smile on your dad’s face. You can also prepare a video for him, which he would cherish forever. watching some great classics or his favorite movies back-to-back. How can one forget the India-Pakistan final match of the Champions Trophy at the Oval scheduled for this Sunday? there’s also an India-Pakistan Hockey World League (HWL) semi-finals scheduled on the same day. Take your dad out on a lazy Sunday brunch at his favorite restaurant and spoil him silly. over some good food and heart-to-heart conversations. If your dad loves being outdoors, then you can plan a day-long family trip with him. A hike, a long drive to the countryside followed by lunch or dinner at a Dhaba, or relaxation at the resort– whatever makes your dad happy! A picture says a thousand words, it’s said. So how about creating a collage of them, bringing back the good old memories? Get your favorite pictures from your childhood printed and create a memory book, especially for your dad. This sweet gesture would surely make your old man feel nostalgic! Finally, happy father’s day to your dad with meaningful and soulful wishes from Indiantalks.in.